Synopsis: Tim Macbeth, a seventeen-year-old albino and a recent transfer to the prestigious Irving School, where the motto is “Enter here to be and find a friend.” A friend is the last thing Tim expects or wants—he just hopes to get through his senior year unnoticed. Yet, despite his efforts to blend into the background, he finds himself falling for the quintessential “It” girl, Vanessa Sheller, girlfriend of Irving’s most popular boy. To Tim's surprise, Vanessa is into him, too, but she can kiss her social status goodbye if anyone ever finds out. Tim and Vanessa begin a clandestine romance, but looming over them is the Tragedy Paper, Irving’s version of a senior year thesis, assigned by the school’s least forgiving teacher. Jumping between viewpoints of the love-struck Tim and Duncan, a current senior about to uncover the truth of Tim and Vanessa, The Tragedy Paper is a compelling tale of forbidden love and the lengths people will go to keep their. 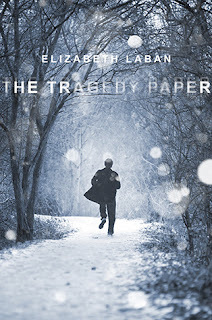 Review: 5 Stars - The Tragedy Paper By: Elizabeth LaBan is without a doubt, simply brilliant. LaBan gives readers two stories in one and delves deep into the affects people have on each another and so much more in this emotional and utterly compelling contemporary novel. For me, The Tragedy Paper was an instant must read. I knew from the first time reading the synopsis that there was something special about this book. I’m sure you know the feeling I’m talking about. Sometimes that feeling is right and sometimes it’s wrong, but this time it was spot on… and then some. The story, writing and characters are beyond the words I’ll be able to express here in this review. It’s just so much bigger than my feeble review. The story is told in two different points of view between high school senior Duncan and recent high school graduate Tim. Duncan starts school finding out he’s been left a “treasure”, a school tradition where the previous tenant to your room leaves you a gift. The room and the “treasure” are what Duncan’s feared the most and when he sees what Tim a senior from the previous year has left him he’s not jumping up and down with excitement. The “treasure” is where we hear Tim’s story. Told to us in recorded messages Tim has left for Duncan. Its Tim’s revelations and explanation of his life we learn about throughout the book that help Duncan grow. See, Tim is different. He’s albino and wants nothing more but to be invisible or at least for people to not see him for what he looks like on the outside. He just wants to live a normal life and do normal things. It’s through these tapes that we learn his thoughts, dreams and the events that will change him and those involved and around him the most. Both Tim and Duncan are different people with two vastly different lives. However some things are the same and we see pieces of their two worlds colliding to bring out even more of how similar they truly are. 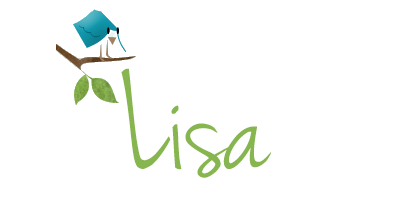 Vanessa is a side character that we never get a chance to meet first hand but we learn all about through Tim’s eyes. I liked her and hated her too. She needed to grow a back bone yet; LaBan did it again with writing a true high school character that’s afraid. All the characters are afraid in their own ways which is another reason to love this book. Seriously people LaBan take teens and their emotions to a whole new level of realistic and I commend her on this. Laban has written an utterly captivating book that’s filled with beauty from the writing and the characters. There’s a touch of romance in the story, and yet it’s not the main focus and I didn't mind that at all once you get into the meat of what this novel is actual about. There’s a mysterious element to the book as well. Never truly knowing what’s happened to the characters. All in all this was incredible and that doesn't even cover it. I loved it more than I can even express. It’s one of the best books I've read this year and I’m still thinking about it weeks after reading. This story has taken its hold and refuses to let go and trust me, I don’t even mind one bit. With that being said, I’m sure that I didn't even come close to expressing how amazing this book is. 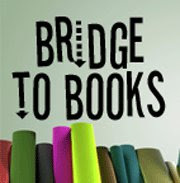 Seriously – fans of contemporary novels should look no further than this for their next book. And those of you who aren't as much of a contemporary fan should give this title a try, it will be the novel to change your mind. Promise! Enjoy!